When shoppers search for used vehicles on CarMax.com, they are greeted with a sleek website, the promise of a “Carmax Quality” certification on the entire inventory, and upfront pricing -- no haggling necessary or allowed. It’s the exact opposite of what a shopper gets when they visit a run-down used car lot. But a new study suggests that the quality of CarMax Quality Certified cars is about the same as vehicles at that used car lot, and the company’s “no-haggle” policy means that consumers could be paying more for a car with open recalls and safety issues, according to a coalition of consumer safety groups. “They're saying we won't even negotiate the price, and we want top dollar for this death trap,” co-author Rosemary Shahan, with the Consumers for Auto Reliably and Safety (CARS) Foundation, tells ConsumerAffairs. 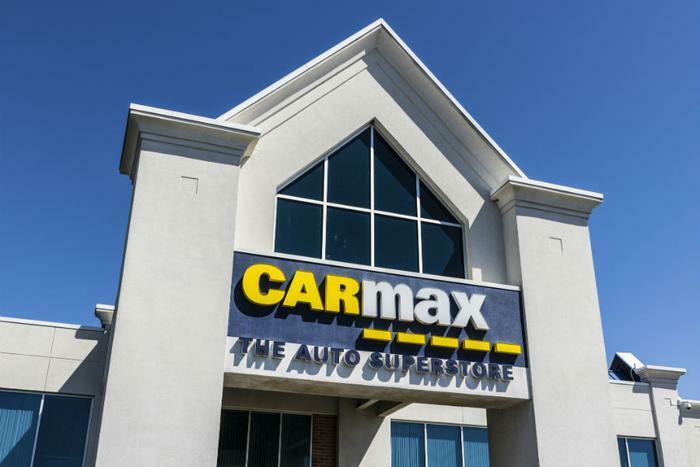 The report finds that over one in four vehicles for sale at eight CarMax locations are under a recall and have not been repaired, according to a review conducted by the CARS Foundation, the Center for Auto Safety and the MASSPIRG Education Fund. One car that the groups studied is under recall for six different reasons, including the risk of engine fire and airbag failure. The groups looked at nearly 1700 cars in total and found that 461 had active recalls. “Those vehicles are potentially hazardous, not only to the people who buy them but also to their passengers and everyone else who shares the roads,” the report says. The most common defect the researchers found in the CarMax vehicles was recalled airbags, a problem that is unlikely to go away anytime soon. In the largest recall of its kind, Takata, the automotive industry’s main airbag supplier, has admitted that its airbag inflators are prone to exploding. This defect has resulted in deaths, disfigurements, and a congressional investigation. Takata agreed to recall over 30 million vehicles, but with a virtual monopoly over the airbag market, no competitor is ready to sell a fix, and car dealerships are now experiencing a huge backlog. Many customers stuck with potentially deadly, explosive airbags have no choice but to wait. While no federal laws prevent businesses from selling cars with open recalls, car companies typically enact policies banning their dealerships from doing so. It’s for that reason that shoppers often favor buying vehicles from dealerships. However, dealerships have also been documented selling vehicles with serious defects. In fact, the FTC last year issued a ruling allowing General Motors to advertise cars with open recalls as “safe" and rigorously tested. Car safety groups are suing the FTC to overturn that ruling. CarMax’s press team claims that they are unable to repair recalled cars at their stores. “Manufacturers do not allow CarMax to complete recall repairs and close out recalls at our stores,” CarMax spokesman Catherine Gryp says in an emailed statement. CarMax also notes that whether a car is recalled is a matter of public record. Included in every online CarMax listing is a link to the National Highway Traffic Safety Administration's website, where the general public can learn a car's recall history by searching the VIN number. “In addition, customers sign a form acknowledging receipt of the NHTSA recall information prior to signing any sales documents,” Gryp adds. Safety advocates say that most shoppers don't take the time to search recalled vehicles on the government website. Understanding that fine print that they sign also requires a proficiency in English at a level that shoppers who were born in other countries may not be prepared for. Ultimately, Shahan argues that CarMax’s advertising is intended to dissuade consumers from even thinking it's necessary to look deeper into their prospective purchase. The company's stores "look like a car palace," she says. "That's the image they project. 'Wow we are so squeaky clean. We only have the best cars.' And underneath that veneer they have these horrible practices."